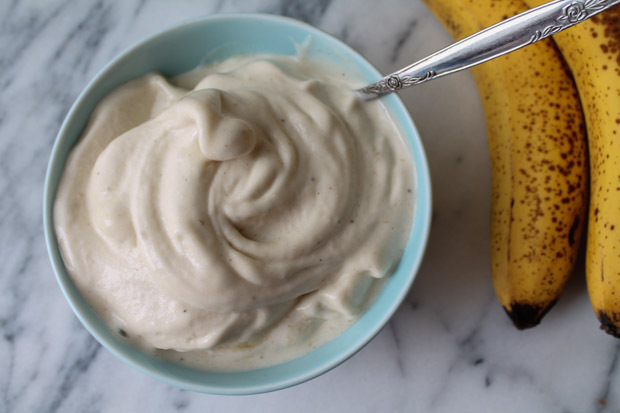 Banana’s are natures perfect sweet treat—- they can be used in a variety of ways to naturally sweeten food or add texture to smoothies and baked goods. In this recipe, however, banana is the star of the show! Their creamy texture and sweet taste make a wonderful replacement for sugar-laden ice cream treats! If the frozen banana is not peeled, run it under warm water to help remove the outside peel. Place in a blender and blend until smooth. Add healthful toppings and enjoy!